The Martian is a 2015 American science fiction film based on Andy Weir’s 2011 novel of the same name. 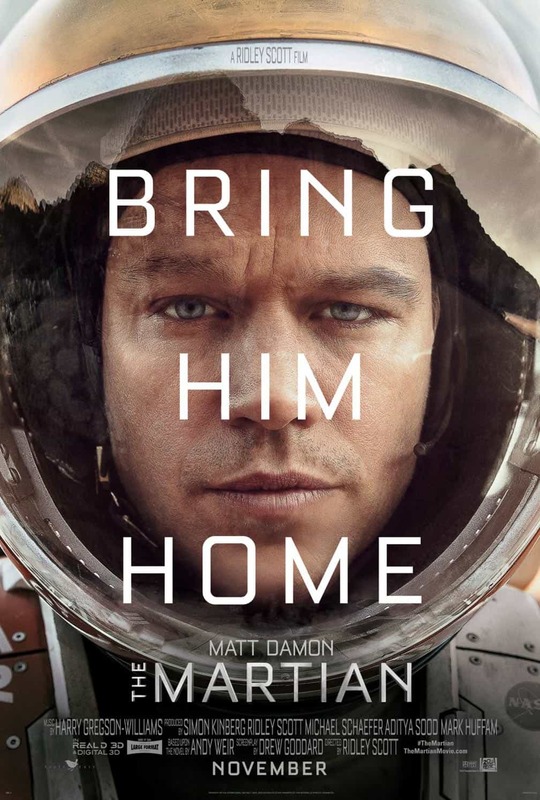 The film tells the story of an astronaut who is mistakenly presumed dead and left behind on Mars and his struggles to survive and others’ efforts to rescue him. The font used for the film title in the poster is Bourgeois Medium, a geometric sans serif designed by Jonathan Barnbrook & Marcus Leis Allion and published by Virus Fonts. The Bourgeois typeface is available in 32 fonts. You can view more details about it here. The Bourgeois font identified above is not available for free, please follow the link above and purchase the font. Meanwhile, you can take a look at our collection of fonts for cars, pop music and apparel as well as round-ups of new & fresh fonts around the web. In addition to The Martian (Film), Bourgeois typeface is also used in the following logos, movie posters or album covers etc., including: The Night Manager (TV Show), House of Cards.